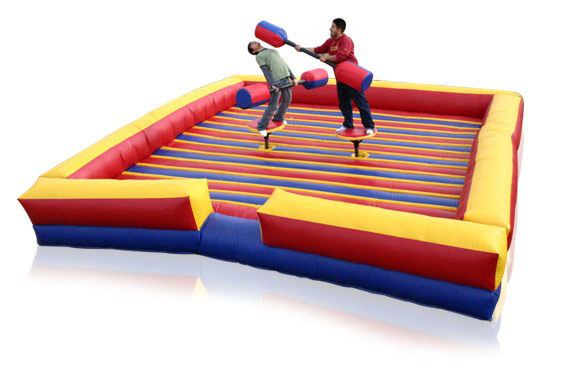 This event allows your guests to compete against each other in this exciting contest with padded jousting poles. The first one to knock their opponent off the pedestal is the winner in this fun, fantastic game. The pedestals stand on an inflatable floor which makes the fall harmless and fun! You've seen this one on television and now you can experience it at you next event. The space required is 24'L X 24'W X 7' T.